I love this quote from Henry David Thoreau, American author, poet, philosopher and naturalist. It sums up entirely my new outlook on leaving our friends’ smallholding after a week’s holiday. My aim is to hold tightly to this guiding principle over the coming months. Life is, after all, too short to be wasted. 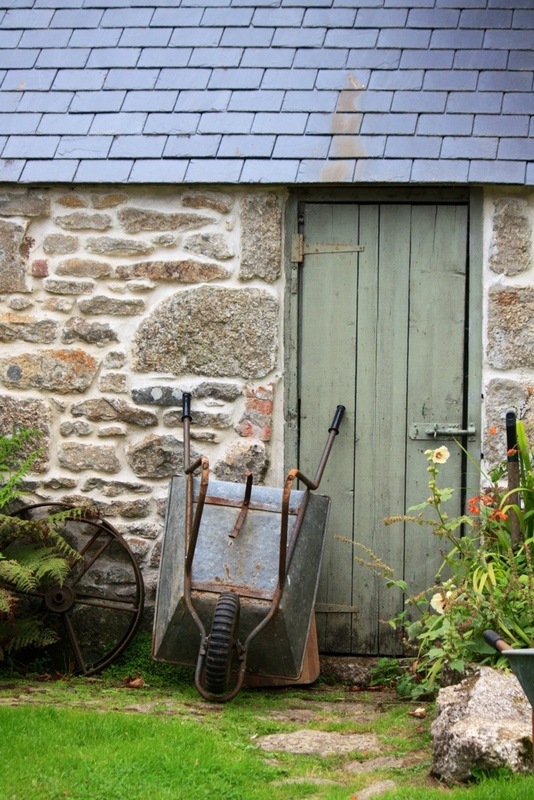 Trevoole Farm, near Praze-an-Beeble in Cornwall, is a tonic for any country loving urbanite, encapsulating as it does a rural idyll without being in any way being contrived. I always marvel at the fact that our German sportscar has this tiny Cornish hamlet programmed into its navigation system. Thank goodness it does because many narrow lanes lead to this precious spot. If only finding one’s way out was harder. Much fine work has been going on since my last post about Trevoole Farm. Beth and Travis have been hard at work in their little fiefdom, making improvements and opening up the gardens to visitors (all proceeds to the National Gardens Scheme). Their efforts have been paying off and there’s a renewed vibrancy about the whole place. 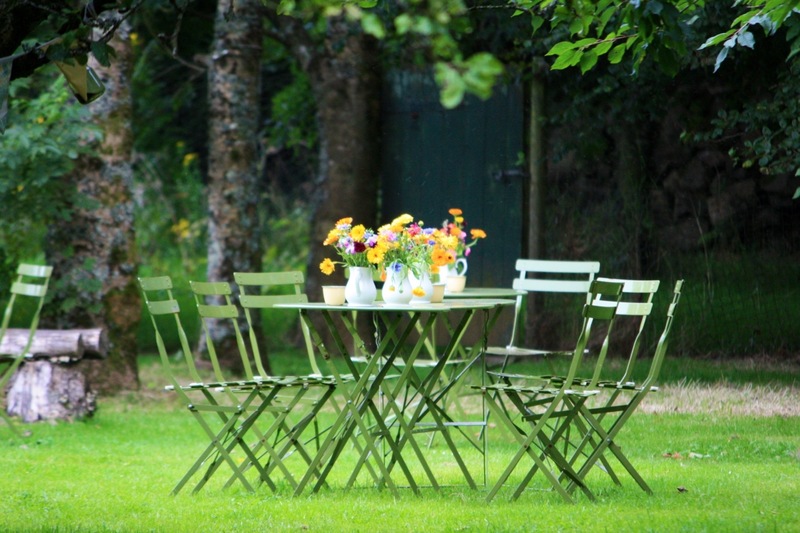 The orchard summerhouse is now a superbly decorated cafe, open on Thursdays, with additional tables spread out beneath venerable old apple trees. Armfuls of cut flowers are picked from the garden or bought at the local car boot sale on Wednesdays and then arranged in Beth’s enviable collection of vintage vessels. Last week it was my chance to have a go. The look I went for was artfully natural, which is about the extent of my ability. It’s a style that was practiced by my late, great Cornish grandmother and is greatly assisted by an abundance of hydrangeas, daisies, cosmos and dahlias. The summerhouse cafe managed by Oli Kiss focuses on simple fare, which is so often the best way with catering. Visitors can choose from a hearty soup (this week roasted tomato) or a seasonally changing gardener’s lunch. 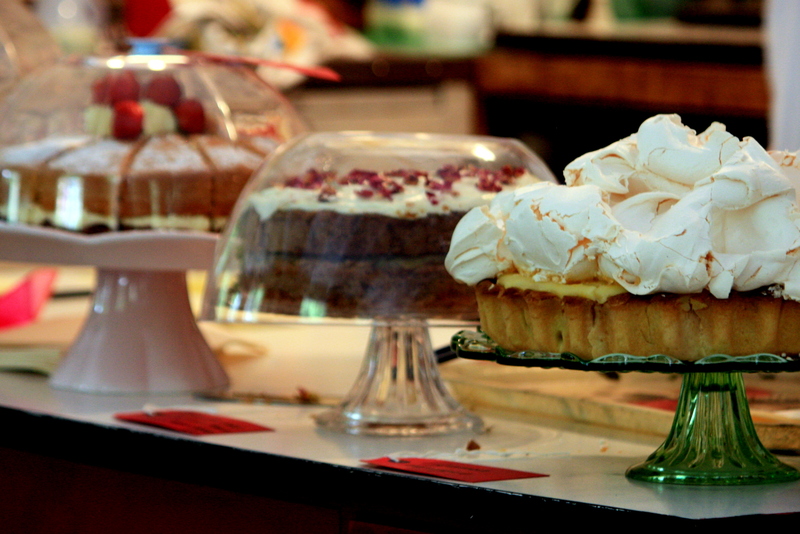 The cakes are irresistible, especially the lemon meringue pie, pictured below, which tastes just as good as it looks. Naturally there’s top quality tea on offer as well as refreshing home made lemonade. 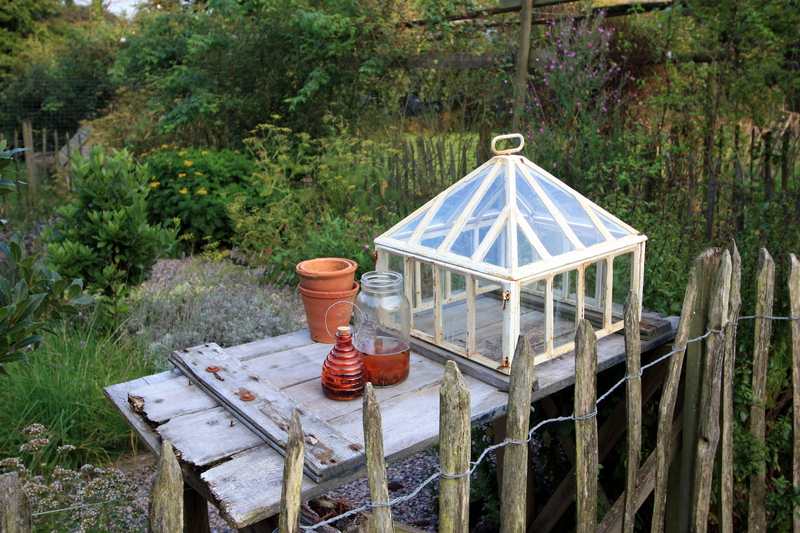 Next door, the tumbledown lean-to greenhouse has been completely rebuilt. It now provides a comfortable retreat for visitors among carefully curated furnishings. 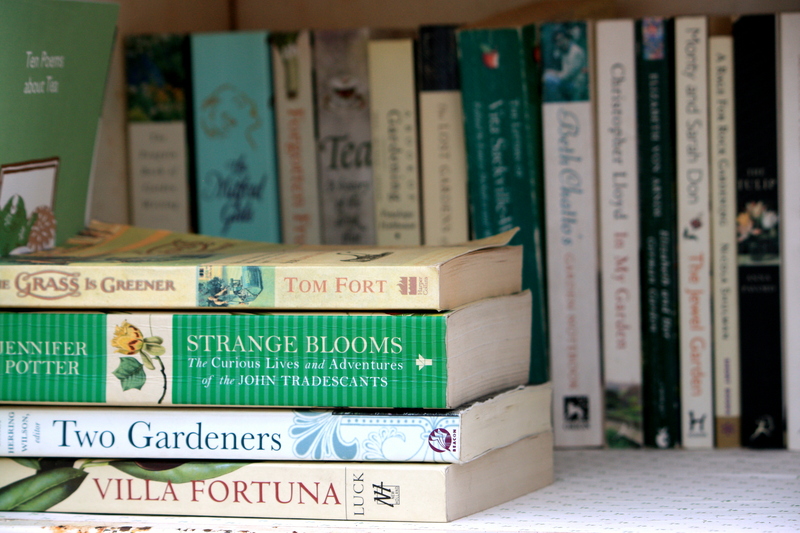 The biggest treat, should the cakes be out of bounds, is Beth’s stash of old gardening books and magazines, which offer more reasons to linger over a second pot of tea. 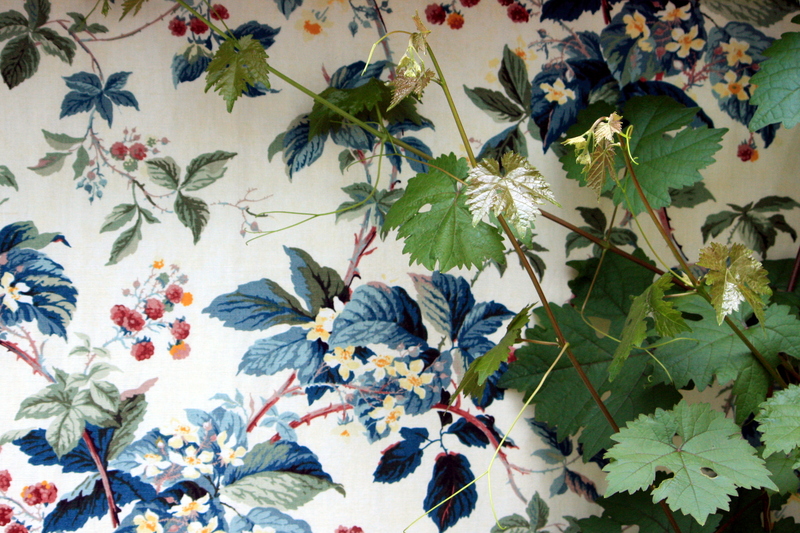 Beth is a master of styling and has covered the rear wall with vintage Colefax and Fowler fabric, over which real vines scramble. 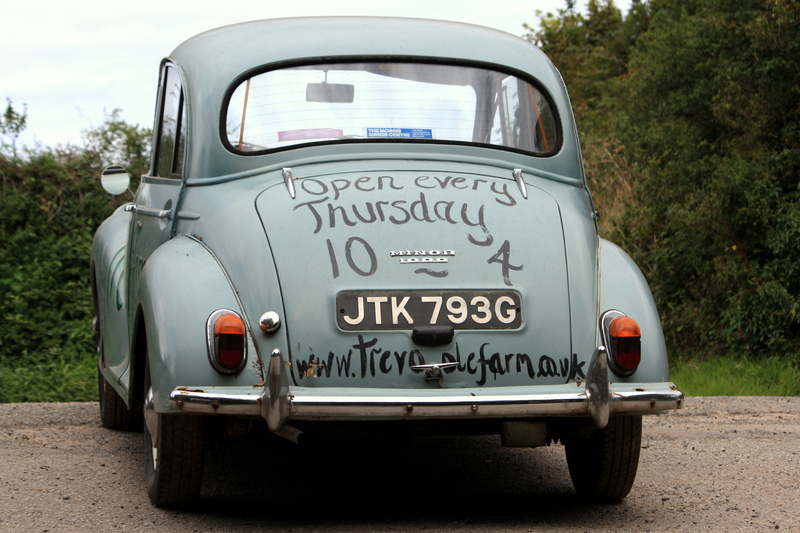 The stables are now home to Trevoole Vintage run by Gary Smith and his family. 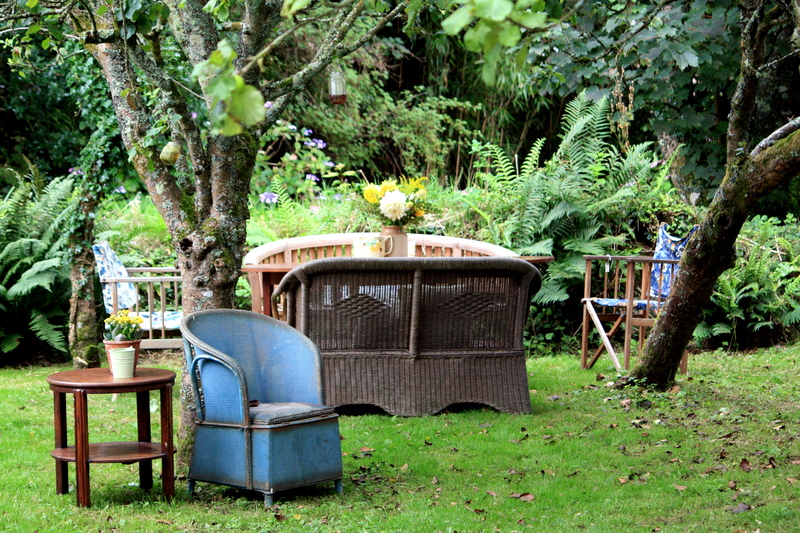 Gary has gathered and edited a great collection of country furnishings and garden brocante, including pretty cafe sets which are scattered around the garden, to sit on or to buy. My favourite set-piece is this wonderfully unconventional auricula theatre, a feature much loved by Victorian gardeners. A selection of interesting plants are offered for sale by Alison Lawer at Higher Merther Nursery, just down the road. Inevitably I succumbed, this time to the diminutive flowers of Fuchsia microphylla, which I hope might tolerate a winter outdoors in London. 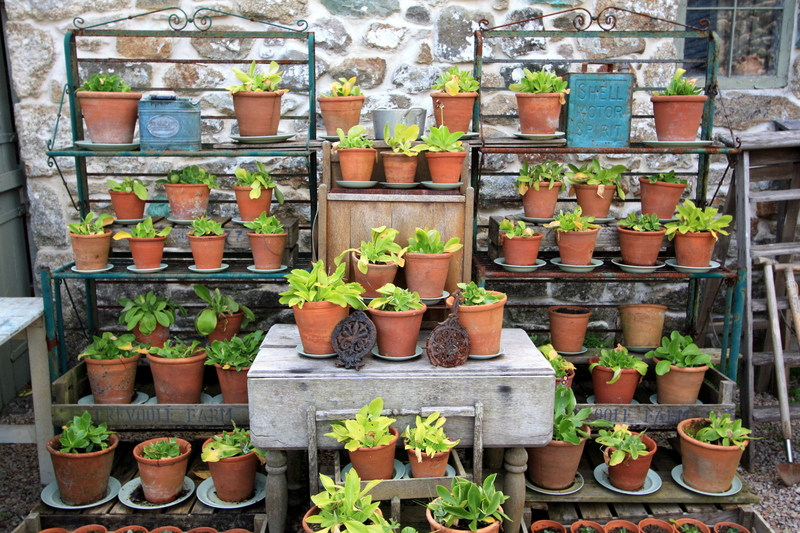 There were alternative fuchsias, as well as crocosmias, Japanese anemones and a range of succulents to choose from. Alison also tends to the well stocked herb garden which was full of fragrant fennel and marjoram. 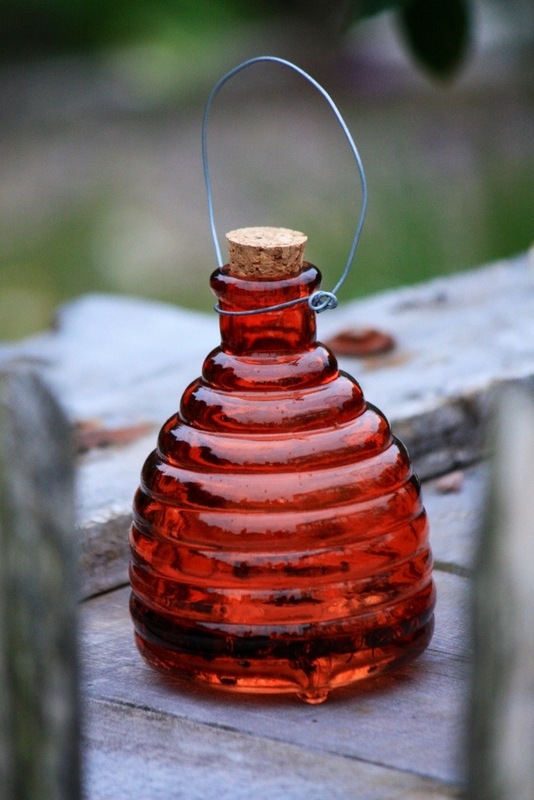 Both made perfect fillers for my flower arrangements and were attracting lots of bees and wasps – the latter not quite so popular with visitors, hence the decorative glass wasp catchers. If you’re really not into flowers, cakes or vintage stuff (hard to imagine!) there are lots of animals to see, including chickens and sheep. Three hilarious pigs gave me endless amusement, squealing across the field at the prospect of anyone bearing food. 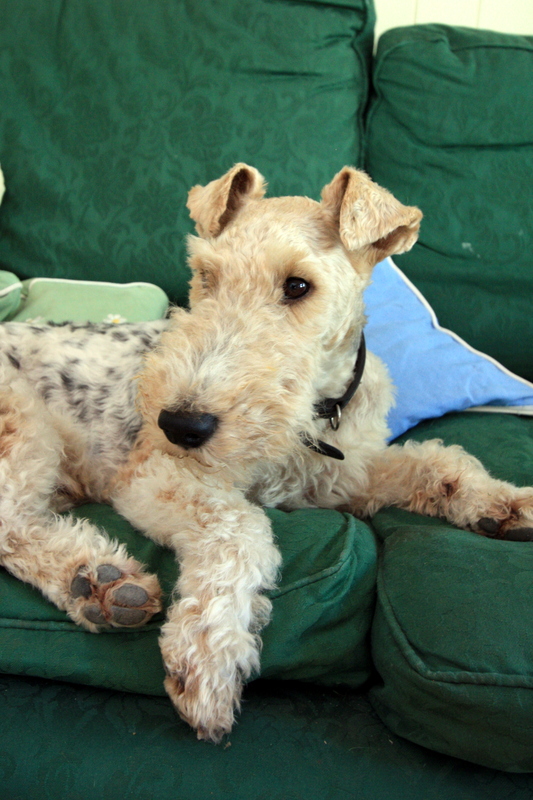 Well behaved dogs are welcome to join resident canines Molly and Podge, a Fox Terrier. 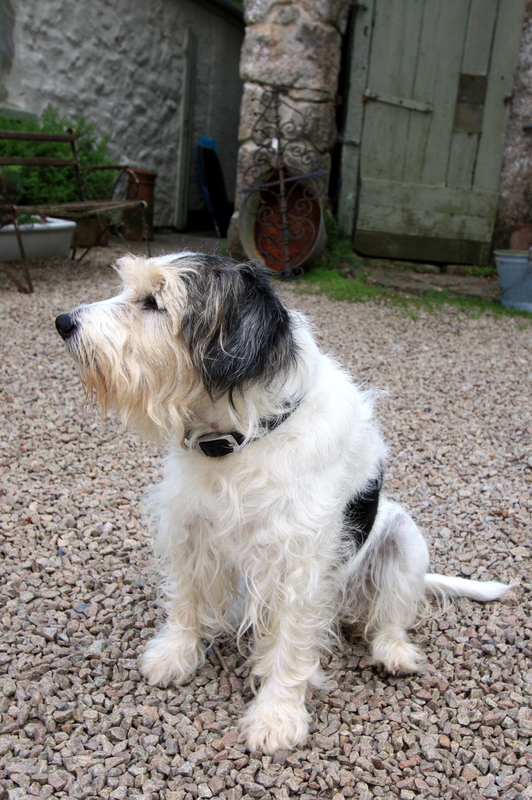 I shall include portraits of both lest I be accused of favouritism. Travis has been working wonders in the patchwork potager, a flower and vegetable garden divided into 25 small beds and a handful of larger ones. 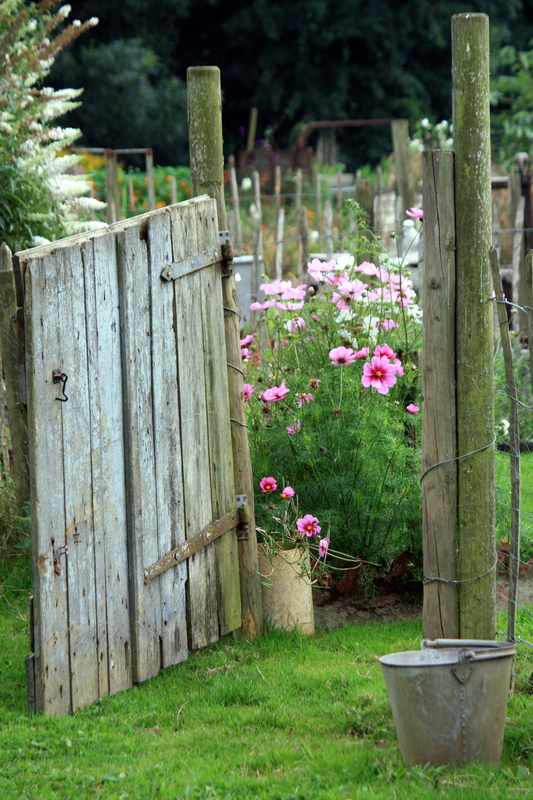 Most beds sport a simple planting of one flower or vegetable type – the nasturtiums, curly kale, runner beans and cosmos at their peak least week. We enjoyed the Swiss chard and nutritious purple kale with a lovely leg of lamb on Monday night. We slipped away from Trevoole after an early lunch on Thursday with a fair degree of regret. The result of a lot of hard work and enterprise, Beth and Travis have carved out something of the life they imagined. Maybe not perfect in every respect, but a lot closer to achieving their dreams than many of us will manage in a lifetime. You have more fun than all your readers put together. What a great week you must have experienced. We had a great week and I am so pleased that came across. We’re very fortunate that our friends invite us down each year. 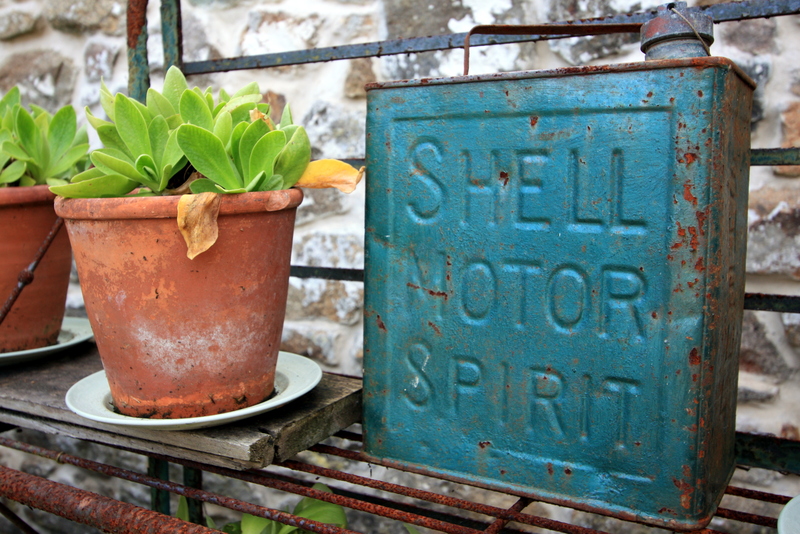 We hope to be back again next Easter, when Cornwall is really at its best with all its wonderful gardens. Thanks Laurie. It was lovely to be back in Cornwall again. Such a special place. Our lifestyle doesn’t allow for keeping a dog, so we enjoy other people’s. Especially for you, I’m going to post a photo of my sister’s dog, which is the cutest thing on four legs! I’m coming down West much more often next year so I will definitely be coming to see you. I might have killed the first fuchsia by then! NGS lady has just been to peruse the garden (takes about 30 seconds) and I think we are on for next year. Any tips? 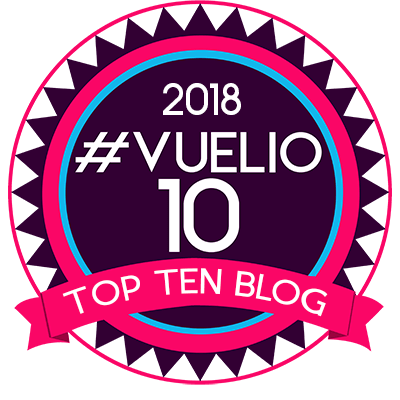 Reading this post made me feel happy; I laughed at the title, coveted the Auricula theatre, adored the dog pics (fox terriers are amongst my favourites) and ended up feeling as if I knew the place myself. Brilliant! Thank you for the lovely feedback Lynne. I really enjoyed writing about Trevoole and getting under the skin of what it’s all about. Glad someone spotted the title …. I thought it was only me that found it amusing!